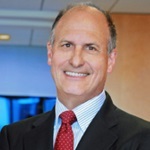 John W. Spiegel is a partner in the Los Angeles office of Munger, Tolles & Olson. Mr. Spiegel is recognized nationwide and in California by Chambers USA as a “leading lawyer” in four areas, including securities, white collar and general commercial litigation. He is also ranked in The Best Lawyers in America with bet-the-company litigation and commercial litigation. In addition, Mr. Spiegel was selected as a “Game-Changing Attorney” by the entertainment publication Daily Variety and named a California Lawyer Attorney of the Year (CLAY) in 2012. Before joining Munger Tolles in 1986, Mr. Spiegel clerked for Justice Byron White of the Supreme Court of the United States and served as an Assistant United States Attorney in Los Angeles, where he tried approximately two dozen cases in United States District Court. He also served as Special Assistant to Deputy Secretary of State Warren Christopher, where his primary responsibilities were in the area of international economic policy. Mr. Spiegel played first on the varsity tennis team at Stanford University and received the “Block S” award for the varsity athlete with the highest grade point average. He continues to have a USTA national ranking.